Can Human Resources Planning Enhance Profitability? It doesn’t take an MBA to see that there are two ways Human Resources can affect the bottom line of a business: cutting costs and generating revenue. It’s easy to imagine how HR can cut costs. Downsizing people and departments, dealing with crunch time by staffing with contractors rather than hires, and taking steps to prevent fines and other legal action can go a long way to controlling spending. But generating revenue as an HR function? That’s a new idea and one that bears further consideration. When Human Resources understands the market, they can help build the company in a concrete way. This is more than just understanding the way your company works. Anyone can look at your business and realize that you create widgets, but when HR understands how those widgets work and what they can bring to your clients, the result can be strategic HR planning that better shapes your employees by a combination of targeted recruiting and more tailored training. Let’s say that your marketing gurus have decided that your widget is suited for the medical industry, more specifically gerontology, that portion of the industry that serves the older population. HR can not only improve your recruiting to better find employees who have experience in this area, but they can tailor training so that your support team better understands and services your clients. HR can also help your company reach out to the larger community by doing things such as offering elder care as a benefit for your employees or arranging corporate volunteer events at senior centers and retirement communities. This can generate good press for your business and show potential clients in the same space that you take the direction of your product seriously. All of this is good for revenue. Every group of employees falls on a bell curve. Most of your employees will do average work on a day-to-day basis, a few will consistently perform extraordinary work (the kind of work that can drive company profits), and a few employees might just be a drag on the whole employee population. It’s simple to say that a business needs to offload underperforming employees and reward the outstanding team members. But when the rubber meets the road, how do you do that? Bob in accounting has always been outstanding, but he also has habits that other employees find unpleasant and off-putting. Meanwhile, Carole’s work is often riddled with errors, but she is a very popular employee and your managers are legitimately worried that losing her will be received negatively by her department, and perhaps by other departments as well. What can be done? Human Resources can and should act as a detached observer to your employee relations. When you have a top performer that other employees prefer not to work with, HR can come in and counsel the employee about the behavior, explaining why and how it needs to change. If you have an underperforming employee who is nevertheless beloved by her colleagues, HR can work with her, providing training or possibly moving her into a different position where she can better perform. By the same token, HR can help create and develop programs that incentivize and reinforce high performance. 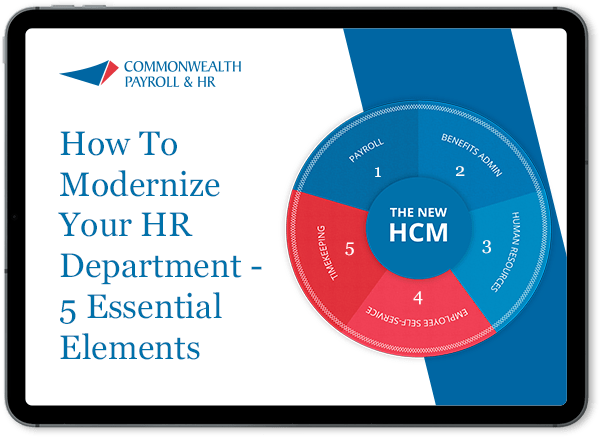 It may take the form of increased compensation or non-monetary bonuses, but by working with HR and payroll you can create a rewards program that is both exciting for your employees and sustainable from an accounting perspective. On a larger scale, HR metrics be used to can analyze your employees and find ways to improve overall performance. It might come down to better communication of internal goals, perhaps updated training and re-focusing recruiting efforts. And yes, there will be times when an employee needs to be offboarded. But if HR is acting as a true partner, these situations will be infrequent. Ultimately, the success of a business comes down to the performance of its employees – and nothing increases employee performance like being fully engaged. Everyone has an idea how to engage employees, but HR is the true engine for change. Whether it’s by developing flexible schedules, diversifying employee benefit solutions, or tailoring the employee handbook and/or code of conduct to better suit the needs of your employee and business needs, HR will help you determine the opportunity for improvement and will help you make the changes necessary to increase your employee satisfaction and engagement. Once your associates are fully and truly engaged, you will see better efforts from them, resulting in less turnover, a more positive office environment, and ultimately more revenue. At the end of the day, Human Resources won’t have the same effect on profitability that your sales people have. However, strong HR support can make it easier for your entire team to perform better, which will result in higher profits.